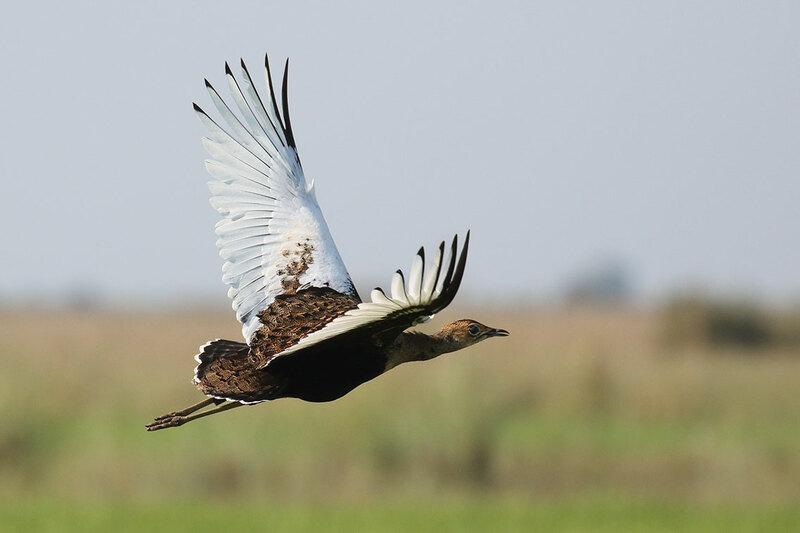 Target today was Bengal Florican, so early morning we drove to the grassland area 20 km south-east of Kampong Kdei. 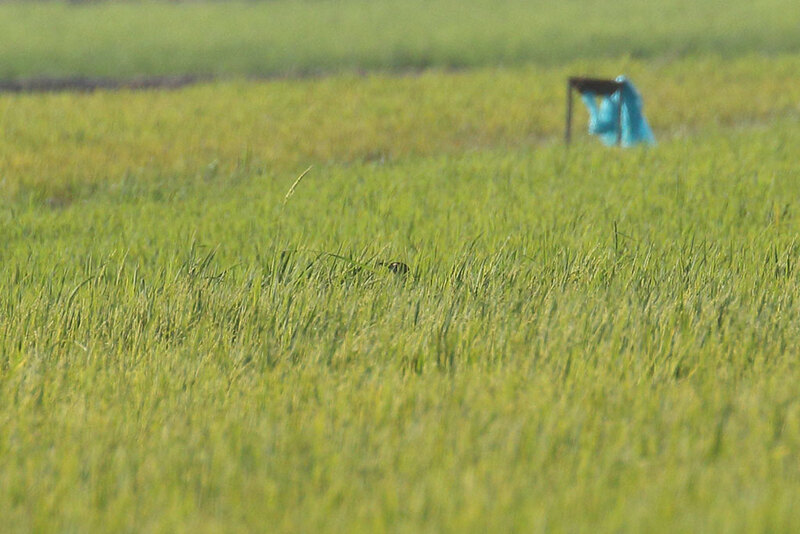 This is an extensive flat area consisting of rice paddies and grassland. When we arrived, we walked out along the various tracks throughout the area. 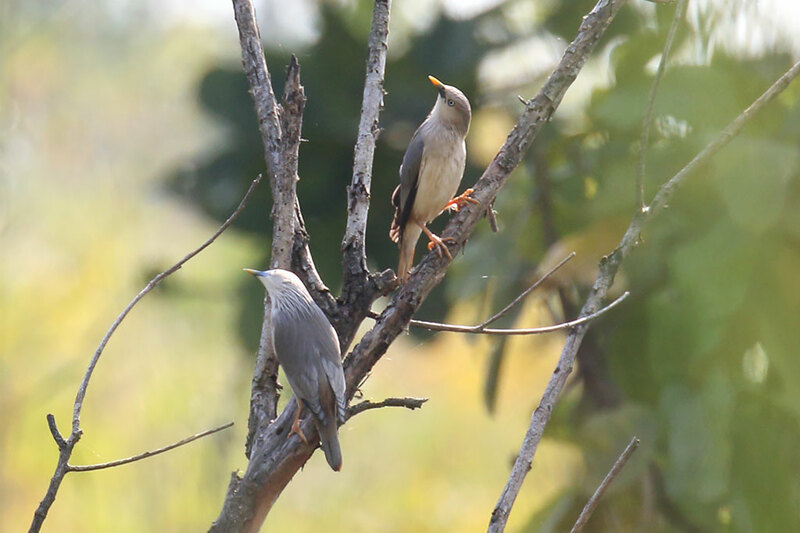 The first birds we saw were Richard’s, Paddyfield and Red-throated Pipits, as well as Oriental Skylark, Zitting Cisticola, Eastern Marsh and Pied Harriers, Black-winged Kite, Green-billed Malkoha, Indian Roller, Scaly-breasted and Chestnut Munias, Black-collared Starlings and Green Bee-eaters. 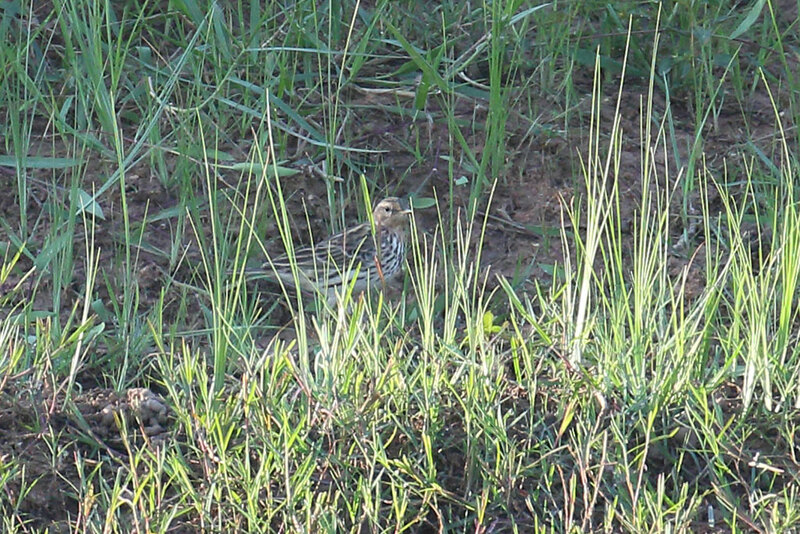 We could hear Chinese Francolins calling. 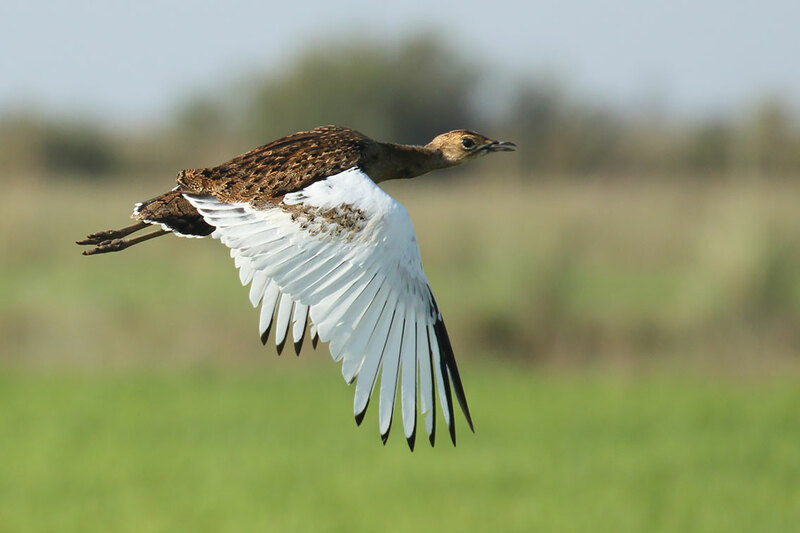 We also had flight views of King Quail and Common Buttonquail. After a few hours walking around, no sign of any Bengal Floricans, but we did see 4 Sarus Cranes flying in the distance. At this stage we were getting a bit worried, but after about an hour we eventually picked up a Bengal Florican flying in the distance. We went to the area where we thought it landed, and we could just see its head peeking over the grass. These were not great views, but after a while it got up and flew past us giving a great flight view. 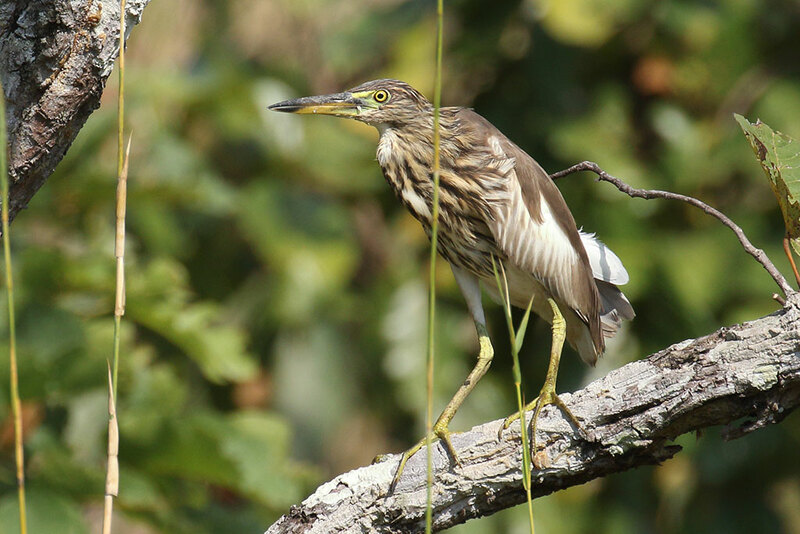 In another area, a Cinnamon Bittern flew out suddenly from a small pool. Anyway, nice birding around here and worth a bit more time exploring, but we had to drive 170 km north-east to Tmatboey in the afternoon. Along the road to Tmatboey we stopped a few times to try to see if we could get White-rumped Falcon. 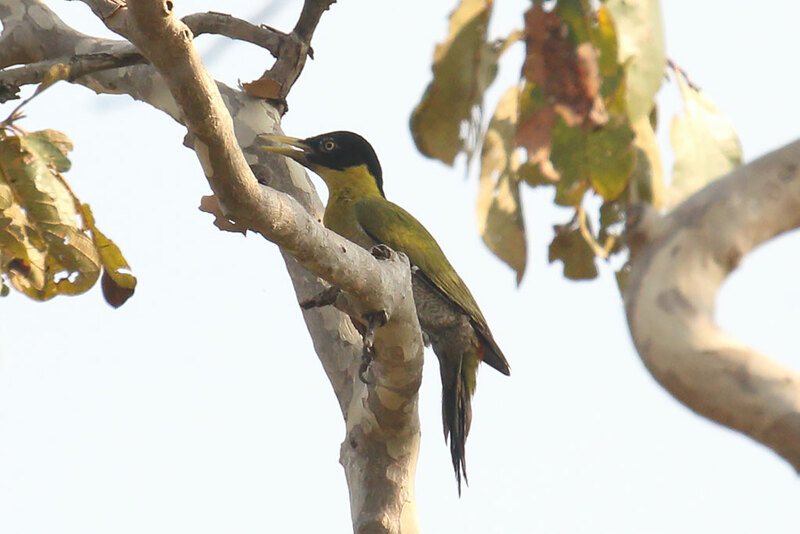 No joy with this but to our surprise we saw a Black-headed Woodpecker along the road about an hour from Tmatboey. Glad we did as it was the only one we saw on the trip. 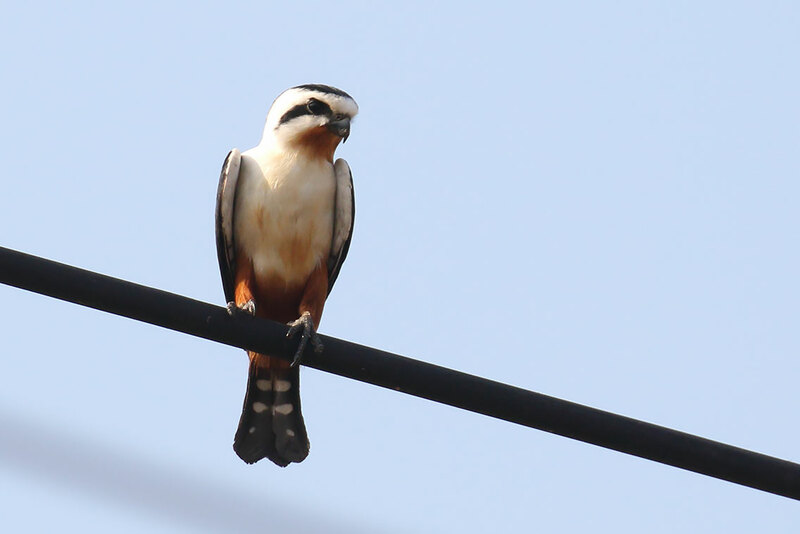 After we left the Woodpecker, a Collared Falconet gave great views on the wires further along the road. Arrived at Tmatboey Forest which is the location for Giant and White-shouldered Ibis. 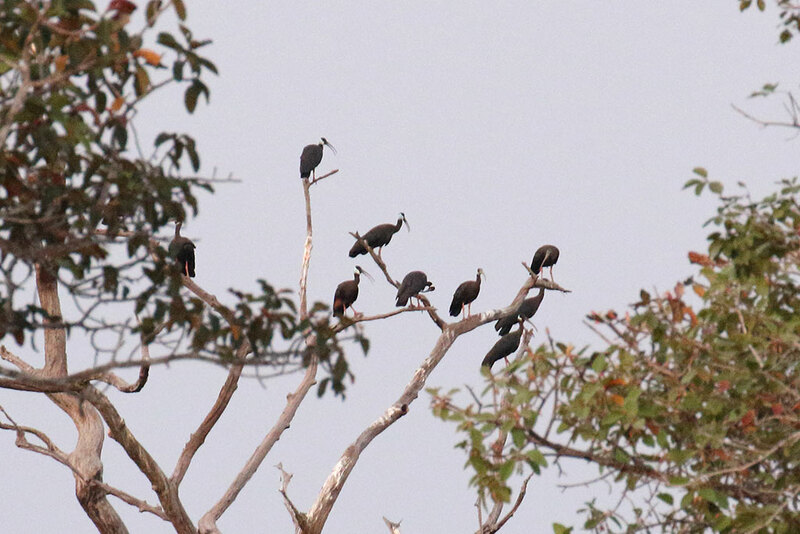 As soon as we arrived, we went straight to a known roosting site for White-shouldered Ibis. A group of birds flew in over our heads, and they landed on the roosting trees just before dusk - a memorable sight and some great birds seen today. In the evening we heard Spotted Wood Owl, Spotted Owlet and Brown Hawk Owl. Florican grasslands, near Kampong Kdei, Cambodia. December 19th, 2018. Near Tmatboey, Preah Vihear Province, Cambodia. December 19th, 2018. South-east of Kampong Kdei, Cambodia. December 19th, 2018.